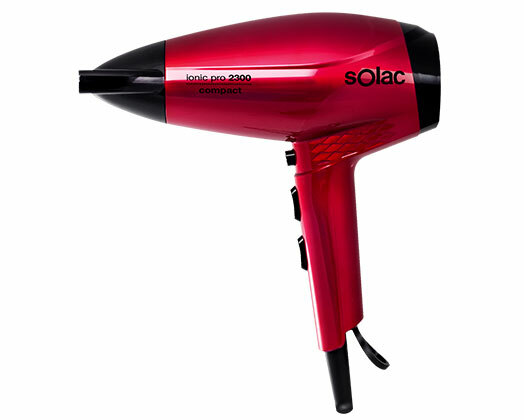 Home Products Solac Hair Dryer Ionic DC Motor Pink 2 Speed 2300W "Ionic Pro 2300 Compact"
Solac Hair Dryer Ionic DC Motor Pink 2 Speed 2300W "Ionic Pro 2300 Compact"
Solac presents the Ionic Pro 2300 Compact hair dryer. With a powerful 2300W motor and compact design, this hair dryer is a beauty essential. It boasts with ionic technology - great for frizz free hair. All the power you need, in this lightweight and compact design.